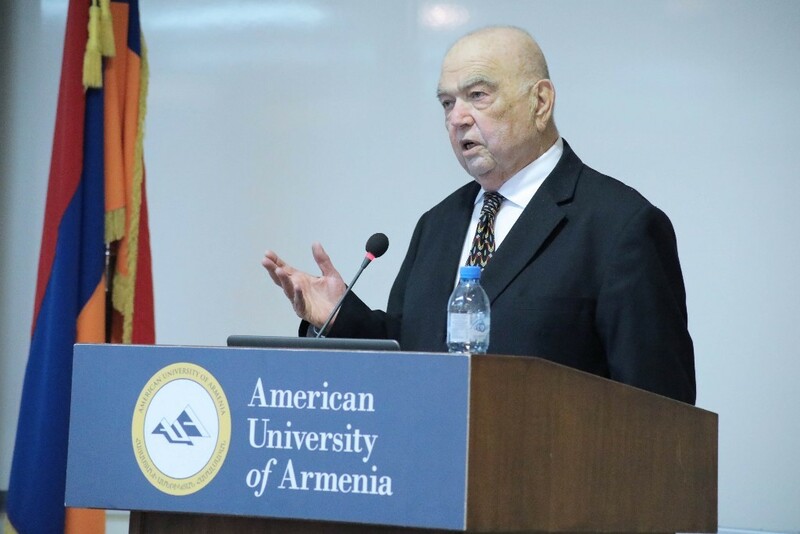 On April 16, 18, and 20, 2018, the American University of Armenia (AUA) and the Armenian General Benevolent Union (AGBU) Armenia co-hosted a lecture series by Richard Hovannisian. The lectures were dedicated to the centennial of the First Armenian Republic. AUA President Dr. Armen Der Kiureghian introduced Dr. Hovannisian.